On February 28th between 6 and 8 in the evening, Ballroom Marfa will be featuring the work of Teresa Hubbard and Alexander Birchler, the Sound Speed Marker. These three video installations and related photographs of Hubbard and Birchler cover a period of five years of work through discovering the film’s relationship to a place and the bits of pieces that the movie making process leaves behind. 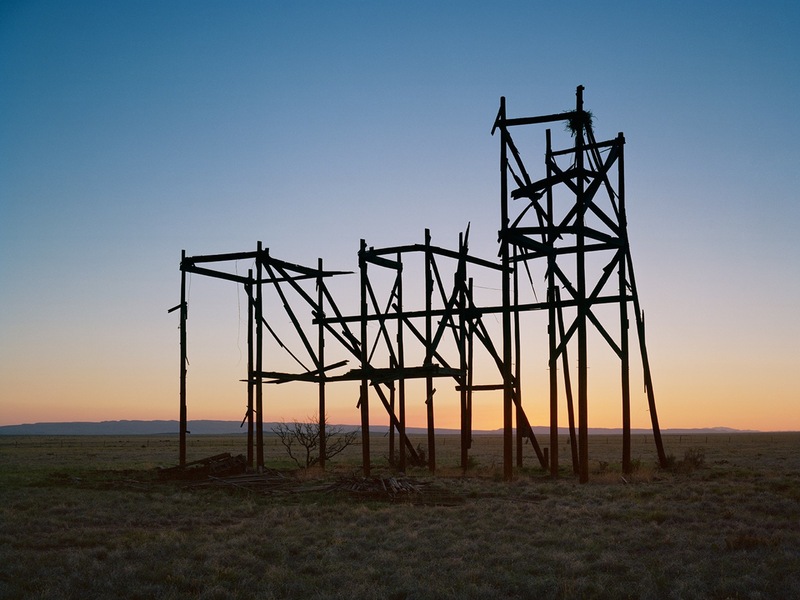 The exhibition also includes the premiere of Giant, a work specially-made by Ballroom Marfa for 2014. It will be presented at the Ballroom Marfa until July 31, 2014. Teresa Hubbard, an Irish/American/Swiss, was born in Dublin Ireland in 1965. She grew up in Australia and attended Skowhegan School of Painting and Sculpture. She also joined a graduate sculpture program at Yale University School of Art in New Haven, Connecticut. Alexander Birchler, on the other hand, was born in Baden, Switzerland in 1962. He grew up in Switzerland and attended the Basel School of Fine Arts and the University of Art and Design in Helsinki, Finland. These two artists have been collaborating with each other to make videos, capture photos and create sculptures since 1990. Their works have been shown in different public collections such as Hirshhorn Museum and Sculpture Garden at the Smithsonian, Washington D. C., Museum of Contemporary Art, Los Angeles, Modern Art Museum Fort Worth, Kunsthaus Zurich, Switzerland, Museum of Fine Arts Houston, Pinakothek der Moderne, Munich, Germany and Yokohama Museum of Art, Japan. Their exhibitions are viewed daily in the New York Times, Art in America, ArtForum International and have been significantly featured on the PBS Series, Art 21 – Art in the 21st Century, an educational archive, resource and history of contemporary art that is shown in more than 50 countries. Their recent awards include Alturas Foundation, Artists in Residence Fellows in United States (2010-2011), Film Production Award, Aargauer Kuratorium Arts Council in Switzerland (2012) and Catalogue Production Award, Aargauer Kuratorium Arts Council in Switzerland (2013). Grand Paris Texas (2009), Movie Mountain (2011) and Giant (2014) will be shown to the public. The show Sound Speed Marker will soon travel to the Irish Museum of Modern Art in December 2014 and the Blaffer Museum, Houston in May 2015.